GNC’s extensive mix of premium products are rooted in science and are designed to meet our customer’s health and performance goals. This includes innovative proprietary brands such as Mega Men, Ultra Mega, GNC Total Lean, Pro Performance AMP and Beyond Raw that are formulated with clinically studied ingredients. 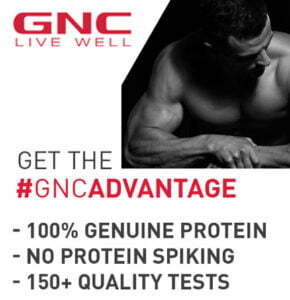 guardian is offering you to buy genuine GNC’s Protein & Health Essentials easily from online with huge discount as well, grab it today!